Inundated with facts and having difficulty with retention? You're not alone. 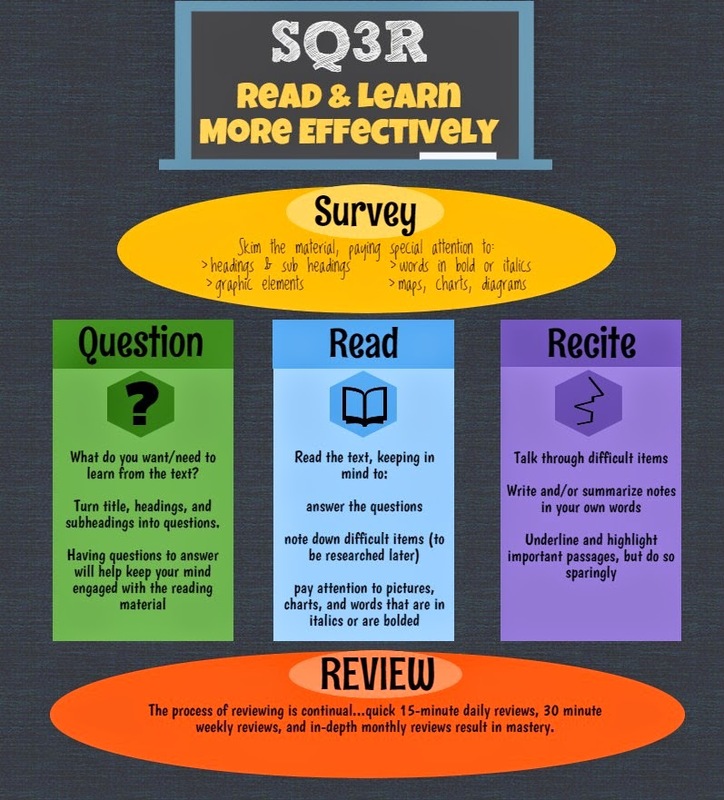 The SQ3R reading method is designed to help you read and learn more effectively. Visit Study Guides and Strategies and Mind Tools for details on how to apply and make SQ3R strategies work for you. Shared by Rio Salado's Counseling Services, helping students with their personal, educational and career goals.